April 2, 2019 - Amazing Threads SHOP HOP IS HERE: We are in for some FUN: New Sample Releases! Qing FIbers, New Atenti Bags..
February 20, 2019 - Amazing Threads is CLOSED due to weather and trecherous driving..
February 19, 2019 - Amazing Threads: Let It Snow..let it snow...let it snow..
February 12, 2019 - Amazing Threads: Knitting Pheromones? January 29, 2019 - Amazing Threads VKL NY, Open Wednesday 10-5 FOR YOUR YARN FIX! December 11, 2018 - Amazing Threads: Catch the Holiday Spirit...its such a wonderful season! December 1, 2018 - Amazing Threads Giftables Event December 2: 12 - 4 pm - Come be inspired & Have FUN! November 14, 2018 - Amazing Threads November Happenings. October 9, 2018 - Amazing Threads Shibui Stylist Sandy Barnes is here onThursday! Save on Shibui during our EVENT! October 2, 2018 - Amazing Threads:What's on Your Bucket List? plus a huge week at the SHOP! September 25, 2018 - Amazing Threads Welcome Fall, Class & Event Discount Alert, New KALs, & FUN @ the Shop! September 13, 2018 - Amazing Threads Birthday Bash & Shibui Fall 2018 Launch! August 21, 2018 - Amazing Threads OOPS forgot something! August 21, 2018 - Amazing Threads Holiday Hours, SAVE THE DATE YOU Don't Want to Miss This! July 24, 2018 - Amazing Threads Christmas in July Sale...our biggest this YEAR! Farmers Daughter Squishy has arrived plus new Knit Kits, too! July 17, 2018 - Amazing Threads: String & Tahki Fashion Event, Rowan Confidential & Knitting is GOOD FOR YOU! June 19, 2018 - Amazing Threads Market Update: New Atenti Bags, Snippet Bowls, & so much FUN! May 29, 2018 - Amazing Threads: It's Finally HERE! May 1, 2018 - Amazing Threads Rowan News, Yarn Over, Sally Melville, & MORE! April 17, 2018 - Amazing Threads Shop Hop Winners; LYS Day 4/21/18; New Classes, too! April 10, 2018 - Amazing Threads Amazing Shop Hop Shares; Local Yarn Shop (LYS) Day April 21, plus some goodies! March 20, 2018 - Amazing Threads - 31 Things to Remove to make you happier; We know that knitting and crochet makes us HAPPY TOO! January 23, 2018 - Amazing Threads: Extra Kits from Vogue Live, Green Mountain Spinnery, Baah Sequoia, Dream and Color and the beat goes on...I LOVE YARN! January 19, 2018 - Amazing Threads Open TONIGHT 6-9 pm & VKL Kits are now in the store! January 2, 2018 - Amazing Threads Its a new year and its time to take care of YOU! December 16, 2017 - Amazing Threads UGLY CHRISTMAS SWEATER PARTY - 15% OFF EVERYTHING IN THE SHOP! December 9, 2017 - Amazing Threads FLASH SALE FOR NON-KNITTERS too! December 3, 2017 - Amazing Holiday Gift Event, Holiday Yarn Bucks ~ Drop in to see the new Dogs..Naming Contest finishes TODAY! November 28, 2017 - Amazing Threads Holiday's Are HERE! Join us for a Fabulous Event! New Stuff TOO! November 14, 2017 - Amazing Threads..I am thankful for so much! October 31, 2017 - Amazing Threads Holiday Knitting, New KALs, Staff Projects TOO! October 24, 2017 - Amazing Threads: Comfort Fade Cardi Kits, No 4 Laines Book, A Plethora of Baah LaJolla and classes galore! It's time to knit and crochet! October 17, 2017 - Amazing Threads What's Hot? Artfil Solo, Comfort Fade Cardi Kits and KAL, PomPoms, Veronika..and the list goes on! It's Time to Knit & Crochet! October 10, 2017 - Amazing Threads Yarn Tasting Friday ~ We can't wait for all the fun! September 26, 2017 - Amazing Threads NEW KALs, Berroco, Pom Poms & Class Updates are all so fun! August 8, 2017 - Amazing Threads: So Much to Share & Sweet Treats Saturday; Who doesn't love ice cream? August 1, 2017 - Amazing Threads: Weather for Sweaters, Wraps and Ponchos, Ice Cream Social, Rigid Heddle Weaving II & Lots NEW!! July 4, 2017 - Amazing Threads: Happy 4th; Tahki Yarn Feature, Artfil & WIPs on Thursday! June 30, 2017 - Amazing Threads: Viewpoint (I wear it every day) & Toucan HAVE ARRIVED! Freebie only available today! June 27, 2017 - Amazing Threads: 4th of July Hours, Love for Amazing DK & Patti, New KALs to Knit for YOU! June 20, 2017 - Amazing Threads - Sneak Peek from Market, Summer Inspiration; Buttons, buttons everywhere! June 14, 2017 - Amazing Threads - Market Boxes have ARRIVED for your to see! Stop in for a quick peek! June 6, 2017 - Amazing Threads - We are OFF TO MARKET + New Projects + Baah La Jolla Mixology & Andrea Mowrey is coming to AT in February! April 26, 2017 - Amazing Threads - More Events & FUN & Products! Come visit us we are having so much FUN! April 13, 2017 - Amazing Threads - Easter Eggs with Surprises! March 7, 2017 - Amazing Threads - Signature Event ~ Shibui Launch ~ Shop Hop & new stuff too! February 21, 2017 - Amazing Threads - New Anzula Lunaris, & Excitement is brewing! February 18, 2017 - Amazing Threads - FLASH SALE 60% OFF CLEARANCE February 18, 19 & 20! February 13, 2017 - Amazing Threads - Love Yarn???? Let's Shake it UP! Malabrigo Dos Tierras is here! January 6, 2017 - Amazing Threads - Join us for Free KAL on Sunday, Help Desk Saturday & Hilariously Tragic Holiday Baking Failures! December 22, 2016 - Amazing Threads - Twelve Days Countdown: Friday Finds! Knitting Bags! December 21, 2016 - Amazing Threads - New Steals and Deals for Thursday: Super bulky for quick knits! December 16, 2016 - Amazing Threads - All that Glitters Shiny & Bright...Now, Dasher! now, Dancer! now, Prancer and Vixen! On, Comet! On, Cupid! on, Donner and Blitzen! November 29, 2016 - Amazing Threads - Thank you all for shoppng Local, Launch of our Exclusive Luxury Yarn Club & Holiday Yarn Bucks! November 24, 2016 - Amazing Threads - Black Friday Knitting Game, Shop Small Saturday - This is the BEST! November 8, 2016 - Amazing Threads - Vogue Live, Transitions, Transitions Lux, Caracol, 21 Slouch..Do I dare say MORE! November 1, 2016 - Amazing Threads - Mad Hatter Tea Party with Stephanie & Nicky; Vogue Live Surprises & Gifts with purchase! October 25, 2016 - Amazing Threads - Giftables, Mad Hatter Tea Party with Frabjous & Nicky Epstein; Caracol is in the shop; Vogue Live..All in a WEEK! October 14, 2016 - Amazing Threads Fall Yarn Tasting IS TODAY! You need to see the Focus Projects. October 4, 2016 - Amazing Threads - Shibui Event 10/5~Discounts, Food, Prizes & a STYLIST TOO! September 27, 2016 - Amazing Threads - Shibui Event, Fall Classes & MORE yarn! September 6, 2016 - Amazing Threads - DRAGONFLY FIBERS has landed! August 30, 2016 - Amazing Threads - Goodbye Summer - Hello Fall! Holiday Weekend Hours & MORE New? August 23, 2016 - Amazing Threads - Fall/Winter Class Schedule is HERE, New From Berroco, Retreat Details & MORE! August 2, 2016 - Amazing Threads - Color Trends, New Arrivals, Fabulous Samples & Addi Olive Wood Neeles back in stock! July 28, 2016 - Amazing Threads - 2 Big Sale Days Left - Grab a bargain or 2! July 19, 2016 - Amazing Threads - Oh Baby Its Hot Outside! July 12, 2016 - Amazing Threads - Malabrigo Rios Fiesta; Frabjous Mania; Dryer Balls & MORE! July 5, 2016 - Amazing Threads - Summer Knits, Good Knitting Reads, & Lots of Fun gadgets are HERE! Free pattern good through tonight! May 31, 2016 - Amazing Threads - a great time to LOVE fiber! May 8, 2016 - Amazing Threads: Happy Mothers Day - 20% off bags today for every Woman in Your Life! April 27, 2016 - Amazing Threads: Ready for Spring? Check out the Technicolor Plaid Wrap! Projects in our Exclusive Anil! April 12, 2016 - Amazing Threads: Shop Hop Patterns Free on Rav; Hop Update & What's Up Next? March 22, 2016 - Amazing Threads: Happy Easter Surprise Eggs for discounts and more! February 13, 2016 - Amazing Threads: Some things can't wait until Tuesday! February 9, 2016 - Amazing Threds Knit for Me Winners, Clearance, New stock and so much fun! February 5, 2016 - Amazing Threads - Super Ball Sale is ON! December 21, 2015 - Amazing Threads - The 11th Day of Christmas..Oh, heck aren't specials FUN! December 20, 2015 - Amazing Threads 10th Day of Christmas features all of Zealana! December 18, 2015 - Amazing Threads: The 8th Day brings 75% Off Clearance & 20% Off All-Ready Knit Socks! December 17, 2015 - Amazing Threads: 7th Day of Christmas & It's the BOMB! December 14, 2015 - Amazing Threads 12 Days of Christmas: Day 4 - PLUS a Day 3 DO-OVER! November 10, 2015 - Amazing Threads: Got Knitting Game? November 3, 2015 - Amazing Threads: New Baby, Yarn, Cups and Bowls, Dream Club, Events & MORE! October 20, 2015 - Amazing Threads: We Launch White Gum WOOL at Amazing Threads, Gems Sport & MORE...So Much MORE! October 16, 2015 - Amazing Threads: MIra & Jeff are here from Baah Yarns - Look at the YARN! Free Gift Tomorrow with each purchase of Baah! October 12, 2015 - Amazing Threads: SURPRISE! Let's Shake it UP! September 22, 2015 - Amazing Threads: Loving Fall! It's Sweater Time! I am Not Perfect! How About You? September 15, 2015 - Amazing Threads: So many events, so much yarn, so much inspiration - Check it OUT! August 25, 2015 - Amazing Threads: GOT YARN? Lazy Days of August are almost gone! August 11, 2015 - Amazing Threads: MadelineTosh DK, Rowan, Plymouth----so much yarn! August 4, 2015 - Amazing Threads: Authentic Tea, New Shibui Colors, 18 cartons of goods....OH MY! July 28, 2015 - Amazing Threads: Shibui Reveal 8/3; Arne & Carlos Knitted Dolls; The Shop is Abuzz! July 21, 2015 - Amazing Threads: Anzula, Baah & Everything Frabjously Wonderful! July 7, 2015 - Amazing Threads Movie Night, Malabrigo, Shibui, OH MY! 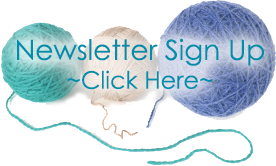 May 26, 2015 - Amazing Threads: Summer Camp Knit Along's (KAL) & NeedleArts Market News! May 22, 2015 - Amazing Threads: Clearance Loft FULL & Knit with Deb & Enjoy some treats! May 19, 2015 - Amazing Threads: Summer Camp FUN, Shibui, & Weekend EVENTS! April 21, 2015 - Amazing Threads: Shop Hop Winners & YarnOver sneak peek! March 3, 2015 - Amazing Threads:Spring Yarns are HERE & So much more! February 10, 2015 - 2015-02-10 Amazing Threads: Inspiration Everywhere! February 3, 2015 - Amazing Threads: 6 More Weeks of Winter & Cold = More Knitting Time! December 2, 2014 - Amazing Threads: Countdown, Dream Club, Pattern of the Month & Lots NEW! October 21, 2014 - Amazing Threads-So Inspired and the Holidays are NEXT! October 13, 2014 - Amazing Threads-Save your spot! September 9, 2014 - Amazing Threads New Website, Fall/Winter Class Schedule & the NEWEST YARNS.